A 3-dimensional memory game. 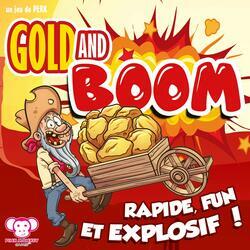 Gold and Boom mines are full of gold nuggets! But unfortunately for you, they are also very unstable and explosions can occur at any time and cause you to lose your gold. Try to memorize the location of Gold cards and Boom cards in the different depths of the mines, and dig courageously to become the richest gold digger!